A Cisco HCS, or Hosted Collaboration Solution, is a next-generation UC and collaboration platform for service providers who want to offer unique Cisco collaboration technologies using hosted and managed models. This method of deployment is very different from on-premise, but each come with their own host of advantages. However, there are many reasons to consider going the way of the future and hosting your solution in the cloud. An on-premise Cisco solution might be the kind of situation you’re used to, but it does require a lot of hardware. Cloud solutions, on the other hand, are very “hardware light”, usually requiring only a single server to run the whole system. A solution like this runs more on operational expenditure than capital expenditure, meaning the expense comes in regular intervals rather than all at once. While these costs add up over time, OPEX can be easier to budget and free up larger chunks of capital for other essential purchases. Some might say that an on-prem solution allows the host more control than they would have if they moved to the cloud. While this is true of many cases, Cisco HCS Large Enterprise is an example of a self-owned cloud solution for large businesses that comes with all the industry-leading features Cisco has to offer. Based in the private cloud, it allows easy and efficient collaboration, as well as scalability, deployment flexibility, and other functions to make it fit perfectly for your business. A private cloud solution, such as Cisco Large Enterprise, might be just what you’re looking for. However, it’s not the only type of cloud solution on the market. Alongside private, there also exists public and hybrid cloud, each with its own set of advantages. A public cloud solution is one that involves delivering IT services over the internet. While this offers the user less control over the system, its low cost and low complexity make it a perfect fit for users on a budget. Private cloud on the other hand, is extremely pricy, but comes with more control and scalability, as well as ever-important security. What kind of company does this latter solution fit best? Well, the name “Large Enterprise” says it all. 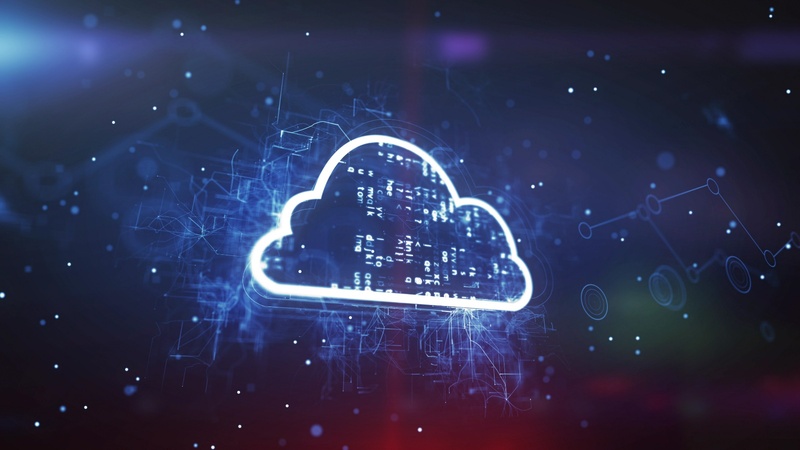 Then, there’s the hybrid cloud option which, as you might have guessed, is a fusion of the two, carrying with it a host of the pros and cons of its predecessors. A solution like this is expensive and can often be more difficult to implement. However, it comes with both the flexibility of a public solution and the security of a private one, while also retaining a high level of scalability. Flexibility, scalability, security. All these words sound great, but what does it all really mean? Well, with Cisco’s collaborative solutions, you’ll be able to increase your productivity and free up IT resources to move forward with higher priority projects. Adding and removing users will be as easy as pressing a button, and with a monthly subscription, your capital will be free for other purchases. All of this, no doubt, makes cloud solutions sound astoundingly appealing. After reading these great points, who in their right mind would ever choose an on-prem solution? Fortunately, many of these features now also apply to on-prem solutions. Cisco’s industry-leading collaborative systems offer increased agility and efficiency even without the cloud. If you choose to go on-prem today, you’ll be able to go to the cloud in the very near future should you so choose, assuming you’re working with a solid and reputable managed services partner. Cisco HCS and on-premise solutions are both more than able to help your business grow and succeed in many ways. Whatever choice you make, you’ll experience drastic improvements in efficiency, scalability, agility, and productivity over your current legacy PBX environment.